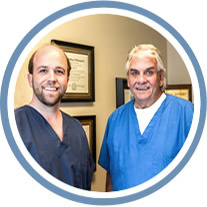 You may have questions if you are considering becoming a patient at Back and Neck Specialists. If your question is not answered here, just give us a call. We welcome the opportunity to discuss any concerns you may have. We accept most insurance plans and payment by cash, credit card and check. Your insurance coverage will be verified by our insurance coordinator when you call to schedule, so you will know exactly what to expect. Dr. Cole’s personalized treatment plan for you includes an estimate of your costs for care. You have options to pay on a weekly or monthly basis. Care Credit? is also available to our patients. Will I always have to go to a chiropractor once I start? You do not have to continue seeing a chiropractor for longer than you want to. We find many of our patients choose to continue care because they feel great and can stay off medications with the help of chiropractic. However, if your goal is to simply get out of pain then once you are feeling better you do not have to continue care. It is totally up to you. An adjustment should not hurt. 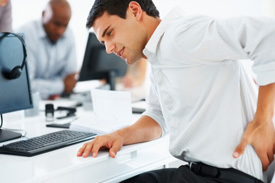 It may be uncomfortable to receive an adjustment if you are already experiencing pain. In this case, we will not do anything forceful. Instead, we will use more passive adjustment techniques and passive modalities to calm down the inflamed area before starting with any manual adjustment techniques. How do my bones get out of place? Trauma. Auto accidents, the birthing process, or more simple actions like putting a billfold in your pocket or purse on your shoulder are all forms of trauma that affect the body. We are not designed to sit at a desk all day or sleep in awkward positions. These habits can affect you over a long period of time. Tension. The tension you experience may be financial, familial or work-related, and is another word for stress. We live in a stressful world, and must be able to deal with these different forms of tension. Toxins. They are in the air we breathe, the water we drink and the food we eat. If you put bad things in your body, you will see bad results in your health. Temperature Changes. Swings in temperature from hot to cold cause your muscles to go into spasm in order to stay warm. These spasms can pull your bones out of place. At Back and Neck Specialists, we are experts in helping you fight off the Four Ts. You will be better able to live your life, knowing that your body can handle whatever it needs to. We are ready to discuss how our health care solutions will give your body the support it needs. Contact us today!